For optimal asset allocation, it's crucial to consider factors like what industry investors work in and where they live, a Morningstar report says. The industry a client works in can provide some market risk of sorts, Morningstar says. There’s more to an investor’s total economic worth than stock and bonds, according to a new paper by two Morningstar researchers. “Other assets, such as human capital, real estate and pensions, often represent a significant portion of an investor’s total wealth, but are not frequently considered when building portfolios despite the fact that they share common risks with financial assets,” David Blanchett, head of retirement research, said in a statement. Blanchett and Philip Straehl, senior research consultant and portfolio manager, coauthored the study, which shows that industry-specific human capital, region-specific housing wealth and pensions have statistically significant exposures to certain asset classes and risk factors. 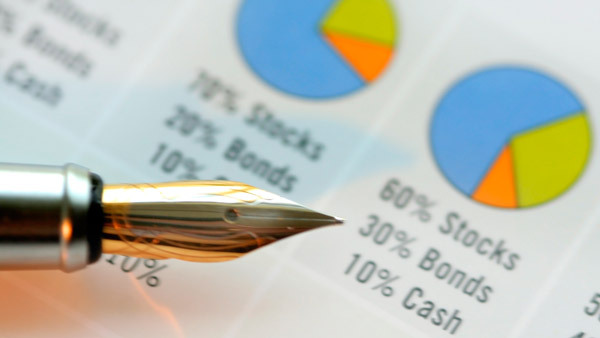 Investors should consider these factors when building portfolios, the authors assert. This would, of course, also apply to their financial advisors. Through a series of optimizations, the researchers compared the asset allocation differences between portfolios that were optimized only for financial assets versus ones that considered total wealth. They determined that the optimal allocation varied materially when vocation, location and pension benefits were considered, with average asset class differences exceeding 20%. Blanchett and Straehl also found that given the bond-like nature of human capital (which they defined as the total economic value of an individual’s set of skills and talents), portfolios that incorporated this asset tended to have lower allocations to intermediate- and long-term bonds and higher allocations to large-growth U.S. equities and commodities. They also found that investors who worked in the manufacturing, utilities and government sectors saw the largest changes to their optimal portfolios after the researchers factored industry-specific human capital into the asset allocation optimization. Their total-wealth-optimized portfolios were significantly more aggressive than average, largely because of lower human capital volatility in these professions. Housing wealth had less effect on the optimal asset allocation than industry-specific human capital, but still played an important role, according to the research. Of the 10 cities studied, homeowners in Las Vegas had the largest changes to their optimal portfolios after the researchers factored regional-specific housing wealth into the portfolio. Their total-wealth optimized portfolios were generally more conservative than average given the historically volatile Las Vegas housing market, and had larger allocations to high-yield and non-U.S. bonds as well as small-cap value equities. Blanchett and Straehl found that because industry-specific human capital had such a significant influence on the optimal portfolio, younger investors who naturally had higher levels of human capital saw larger changes to their portfolios than older investors when total wealth was considered in the optimization. “Each investor’s situation is unique, and his or her financial portfolio should reflect those distinct risk factors,” Straehl said in the statement. For example, he said, a Texas banker’s human capital and real estate wealth are tied to the financial and energy sectors as well as to large-cap value stocks, so the banker would want to reduce exposure to those asset classes in his financial portfolio. “Our findings have important implications for individual and custom target-date model portfolio construction, and suggest that techniques that ignore human capital and outside assets are insufficient,” Straehl said.